I find myself living in comfort up here in the NT as I’m hardly in heels. So I’m always in sandals or flats and, plus it’s super hard to wear heels all day long in this heat. Lucky for me, Colorado Shoes have created these comfy sandals with a little wedge, that I could wear all day. I’m wearing what they call the “Allora” sandal, it practically radiates a summery style - perfect for Darwin weather! How cute is my outfit though? Did you guys realise I’m always in summery outfit’s these days? Up here it’s 33 degrees everyday! Talk about living in summer 24/7, so these shoes go perfect with all of cute summer outfits I own. 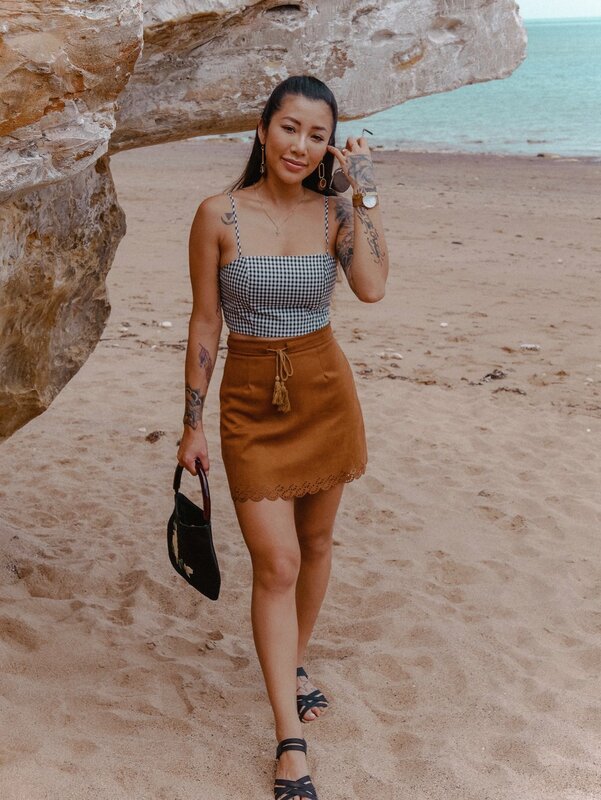 I love that they designed the shoe with rustic leather straps which is durable for adventuring down to the beach from the cafe. I wore these sandals around all day, and what I love most about them is their cork footbed that moulds to your feet, which helps to specially keep your feet rugged up in all day comfort. Pics below include my outfit that go so well with my sandals! And of course, Jaden had to get in the shots as well because he could not, not be in some photos. Haha! If you’re interested in some comfy footwear visit Colorado Shoes at https://www.colorado.com.au/ or just jump onto their Instagram @coloradoshoes.